The Sweet Movie, 2013. 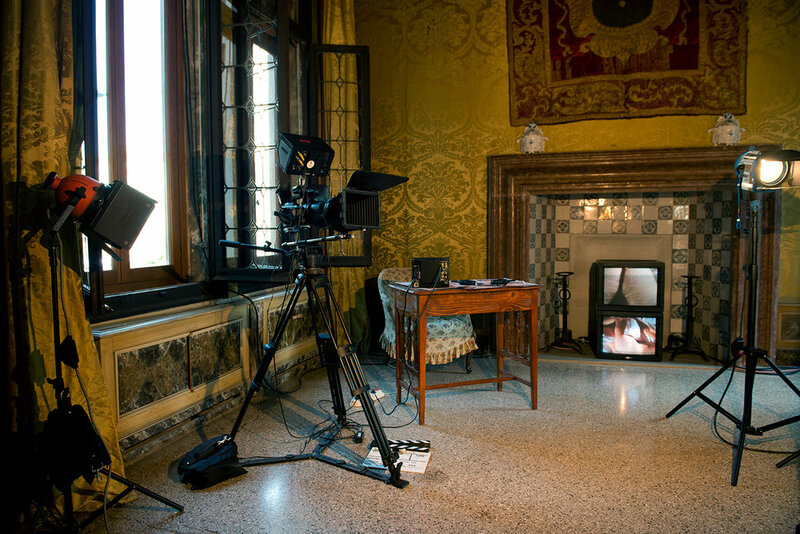 Performance view, Palazzo Contarini Polignac, Venice, Italy, 2013. Photo by Sergey Illin. 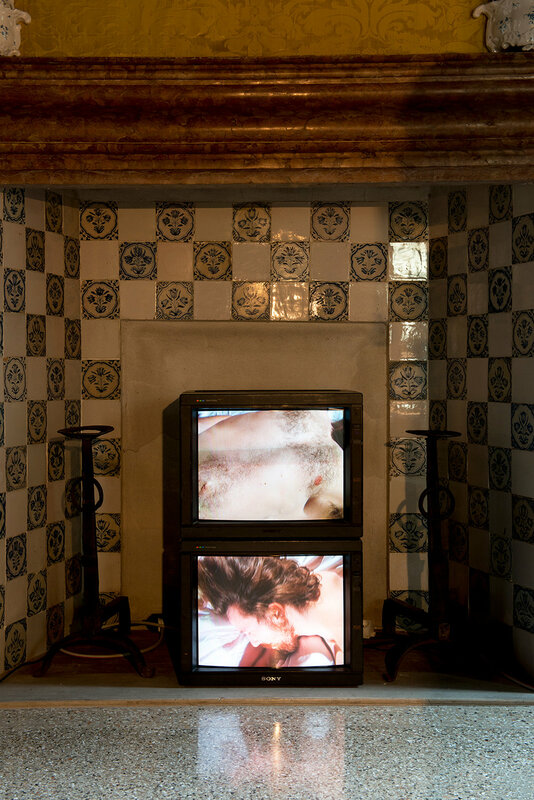 This work is a performance piece that shows the scene of a pornographic video being shot on film. The crew continually changes the seating and lighting arrangements. A photographer tries to capture an actor’s stellar performance. The script clerk shouts repeatedly, urging another absent actor to come on set. An assistant occasionally wipes away an actor’s sweat and touches up his body makeup. An overbearing director repeatedly argues over details with the staff... The script is a refinement of reality. The film shapes the script. The shooting is a betrayal of its reality.